Published 01/14/2018 at 2000 × 2716 in CITY APT TOUR. 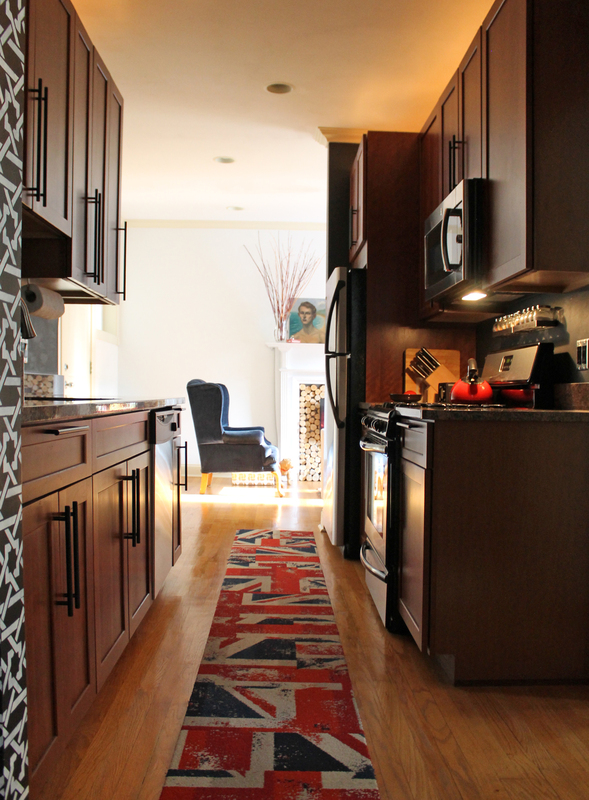 The Union Jack runner really set the tone for the kitchen. It also made a wonderful catwalk for impromptu walk offs.